Online reputation statistics change regularly. This guide was last updated April 2019. If you’re like many Chief Marketing Officers you might lie awake at night wondering when the next emergency will upset your well laid plans. We understand. The online reputation management world smolders with tales of tragedy, falls from grace, and salacious rumors that can destroy careers and entire businesses. As with any threat, a little knowledge can go a long way. This report is not intended as a scare tactic. Instead, it is a clear-headed approach to making sense of online reputation management (ORM), what’s working, what’s not, and what to do about it. Yes, the numbers can be disturbing, but with a careful marketing strategy and ORM best practices in place, it is possible to shape an online identity that conveys integrity, leadership, and trustworthiness. Let this guide serve as a primer on the current state of online reputation management, and how to use these statistics to your advantage. Most people understand how online reputation works from an individual perspective. We use social media in hopes of gaining social capital, a form of reputation. We take steps to protect our privacy so we do not incur financial loss, hassle, or even someone stealing our identity - possibly damaging how we're seen. But reputation management is just as significant for businesses and organizations. Both risk and reward are greater. 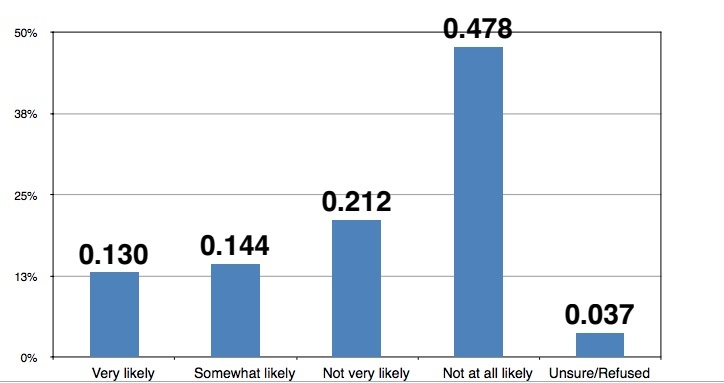 Most businesses lack an awareness of the risks of a compromised online identity and the degree to which online reputation predicts their success or failure. 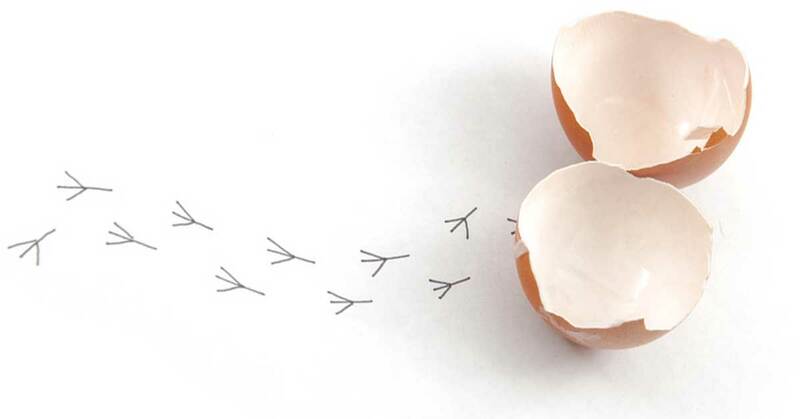 A single misstep can result in the closure of a multinational organization. One reputation crisis management fiasco, mismanaged, can hurl a company into a financial free fall. Unexpected crises can destroy businesses and reputations. Boards, chief executives and their managers may believe they have a firm grip on the risks they face. They should think again. All of us in the online world, from individuals to businesses to public organizations, have two identities — the one that exists in real life, and the one that lives online. 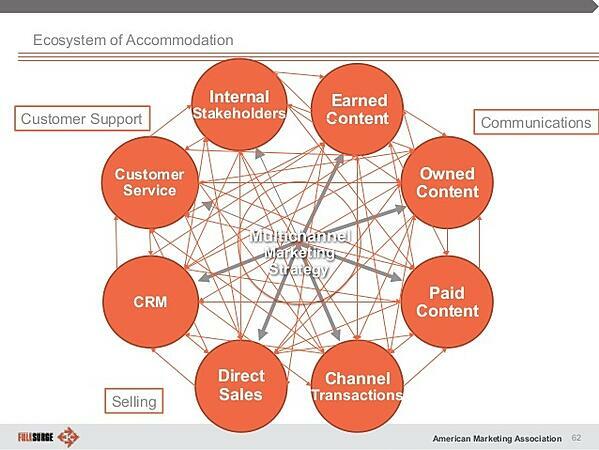 Marketing professionals, of course, realize this to the greatest degree. The Internet can be fickle, plummeting overnight faster than a dissatisfied customer can strike the “submit” button on a review site. Now more than ever people search online to get information and formulate opinions on people and businesses. With few users perusing below the top three results that appear in a search query, first impressions are even more important online than in real life. Miss your chance to make a positive impact off the bat and you may never get another opportunity. In light of the Internet’s power to make or break your reputation, here are some of the most significant online reputation management statistics. 1. When searching for news or information, 64% of consumers trust search engine results (e.g. Google) the most. The Edelman Trust Barometer shows that 65% of consumers trust online search engines the most when conducting research on a business. You do it, so do most people. Edelman dubs 2019 as the year of "Trust at Work." The report reveals that people have shifted their trust to relationships within their control, and with their employers specifically. However, there is an urgent desire for change as only one in five feels that the system is working for them. Google Trends shows a spike in “fake news” interest during the early part of January 2018. As a result, the “informed public” has experienced an erosion in trust. 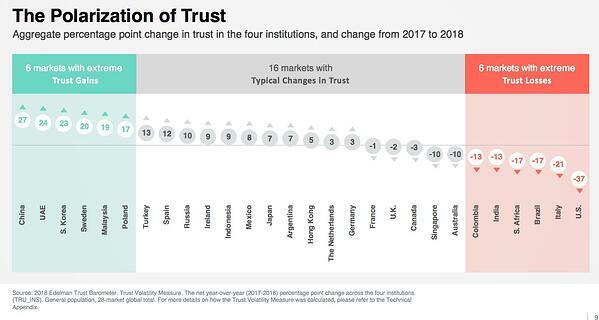 And what is the nation with the greatest drop in overall trust? The United States of America. 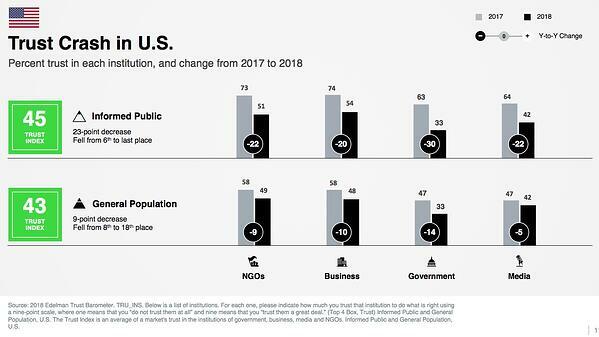 Americans lost trust in NGOs (non governmental organizations), business, government, and media. The biggest victim of trust reduction was the nation’s collective trust in government. Against this backdrop of the 2018 “trust crash,” consider that statistic again: 65% of consumers trust search engine results. In spite of it all, the Internet is upheld as the first source of trustworthy information for news, general business information, or to confirm or validate rumors. Although mistrust towards media and the institutions is at an all-time low, general trust in what we see in Google is at an all-time high. Convenience and speed, it would seem, are the arbiters of trustworthiness. Do AutoComplete results affect brand reputation? Reputation integrity goes beyond if and how you’re seen on the search engine results page. Something far less overt holds sway: autocomplete. The autocomplete responses populated in Google’s search can give new customers pause or inspire them to learn more about you. It’s important to think (and search) like your customers would in order to determine what your online presence is really saying about you. As of April 2018 Google controls 74.54% of global desktop search traffic according to SmartInsights. The second most popular search engine in terms of search volume is Baidu (11.69), which primarily serves Internet users in China. Bing (7.82% of search engine market share) and Yahoo! (5.11%) do not come close to Google’s dominance in the market. Among United States web users, Google’s gargantuan status is even starker. They own 90.77% of the American search engine market, dwarfing the runner-up (Bing) by a factor of 12. Each search engine has its own unique algorithm that determines relevance, authority, and ultimately ranking for a given search query. The nuances of the algorithms are largely unknown (and the search engines make sure to keep it that way), but your best bet is to focus your efforts on improving your ranking with Google. That being said, you can't completely ignore the other search engines either. Online reputation management best practices are founded on the principles of online human behavior and the tactics of search engine optimization. Gone are the days when keyword-stuffing and tiered link building would make your page rank well. Today’s search engine optimization best practices are much more sophisticated. Despite these changes, the major player in the SEO world still stands — Google. When optimizing your brand’s reputation, understanding Google’s algorithmic principles is crucial. According to research leader BrightLocal, 97% of consumers search online for local businesses. 12% of consumers do so on a daily basis! As online reputation statistics go, this number shouldn’t be too surprising. It’s safe to say that using the Internet to find local businesses is a universal practice in the developed world. What is significant is the degree to which potential customers trust what they read. Let’s explore a few other statistics from the BrightLocal survey. “85% of consumers trust online reviews as much as personal recommendations.” This means that the overall sentiment of your online review can make or break your business. 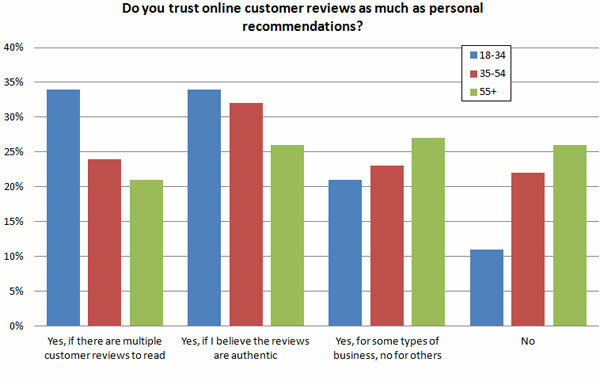 Online customer reviews and personal reviews are nearly equivalent in their trustworthiness. 49% of consumers need at least a four-star rating before they choose to use a business. Consumers read an average of 7 reviews before trusting a business. If online reputation management was an afterthought before reading this article, these statistics should change your disposition. A company that does not exist online does not exist at all in the view of the modern customer. And how that company appears — with or without stars, positive or negative reviews — is equally important. Although BrightLocal’s data focuses on local businesses, the principle holds true for any business, regardless of their physical location or presence. When trying to make sense of your online reputation it is important to realize this key truth: Your online reputation is your reputation. And if you don’t appear online, you don’t exist. 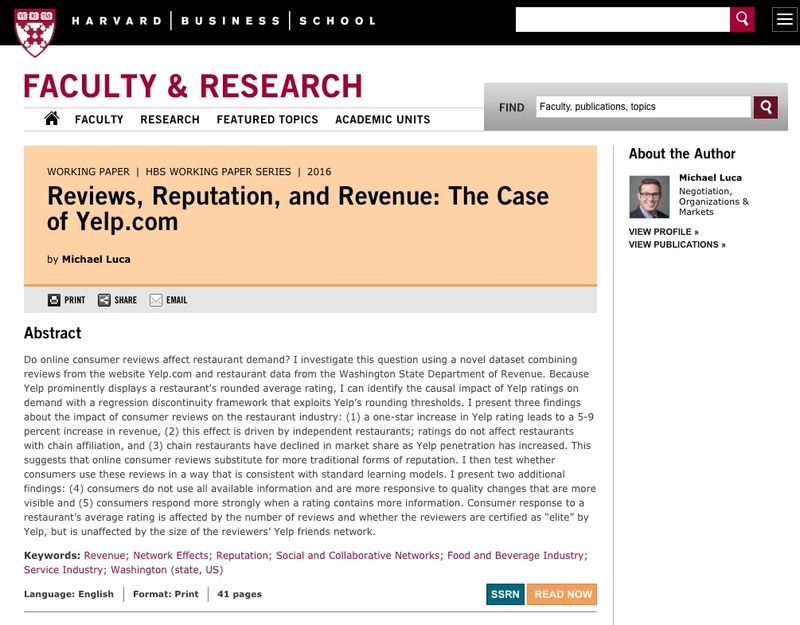 According to a Harvard Business School Working Paper, every additional one-star Yelp rating causes an increase in the business’s revenue as high as 9%. I want to make sure you understand how big of a deal this is. First, we’re talking about those little stars on Yelp reviews. You don't have to try hard to find them. You can see them on Google’s search results page when you’re searching for a taco restaurant for example. 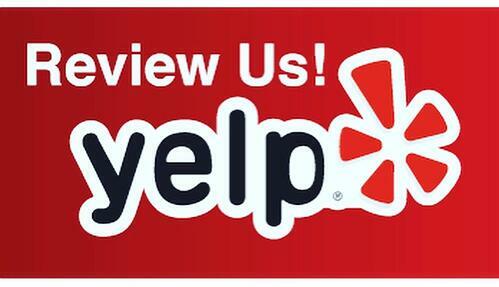 You may also see these reviews on Yelp.com or within the Yelp app. Second, we’re talking about a 5-9% increase in revenue for every additional star. 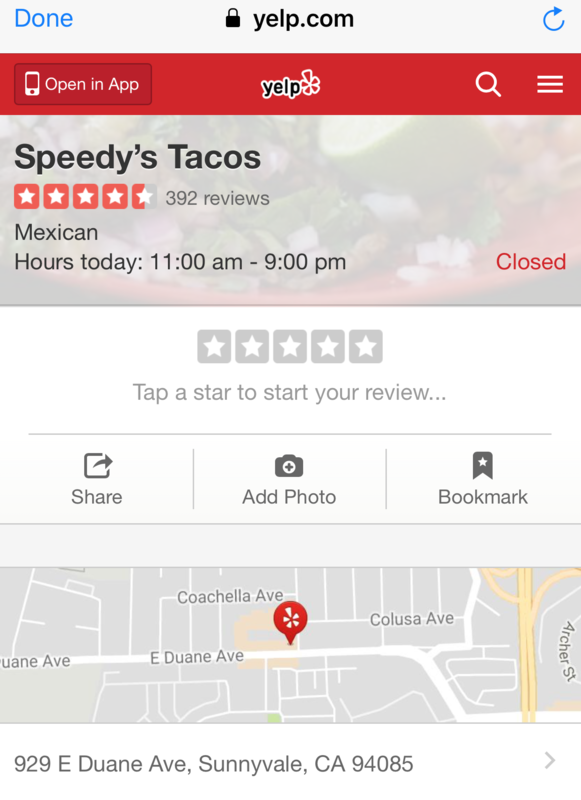 To put some numbers on that, let’s say that Speedy’s Tacos in Sunnyvale has an annual revenue of $1m and a 3-star Yelp rating. The following year, they have a 4-star Yelp rating. (Great job, Speedy’s!) As a result, Speedy’s annual revenue is now $1,090,000. They made $90,000 more. What changed? Who knows. A “Review us on Yelp” sign at the cash register? A “Please give us five stars!” on customers’ receipts. You'd be surprised at how much these small efforts can impact your reviews. The point is, Speedy’s is pulling down an extra $90k, because of the boost in reviews. It is logical to assume that a reduction of positive online reviews, such as a loss of a star rating, causes a decline in revenue. More stars, more revenue. Lower stars, lower revenue. Let’s whittle this down to a fine point. A higher star rating puts more money in your business bank account. Your business’s online reviews matter. A lot. Whether you own a small business, run a non-profit organization, or care about your online presence in any way, those little Yelp stars make a big difference. Bright Local found that nearly 3 out of 4 consumers trust a company to a greater degree if the reviews for that company are positive. Trust is the buy barometer. If you possess a high degree of trust for a brand, then you’ll buy from them. Online reviews can make or break that trust. The trust from online reviews is so strong that, as examined above, 85% of consumers trust reviews as much as they trust a personal recommendation from an actual human friend. Personal recommendations are still the strongest form of brand trust, but opinions in the form of positive reviews are a very close second, as revealed by the Nielsen Global Trust in Advertising Survey. A colossal 74% of consumers have greater trust in a company if they read overwhelmingly positive reviews. 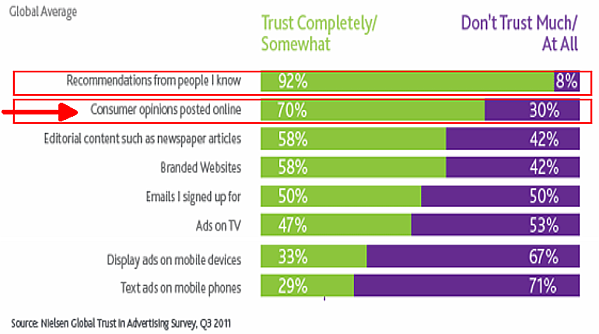 Conversely, the research shows that 60% of respondents said that negative reviews made them not want to use a business. Reviews that only gave 1 or 2 stars, failed to convert 86% of prospective customers. Clearly, this scenario is a major potential loss, particularly for startups, which need the initial momentum to get their businesses off the ground. The report also shows that consumers are getting better at sorting the real reviews from the fake reviews and they’re more likely to take a recent review seriously than an older one. Consumers will catch on when businesses hire people to write fake reviews, or resort to other automated, non-organic means of cultivating a positive reputation. Only authentic reviews will do. 6. Wikipedia is on the first page of Google search results more than 50% of the time. In a study conducted by Stone Temple, researchers found that Wikipedia appears on the first page of Google for as many as half of all search queries. Researchers conducted a study published in the Journal of the American Medical Informatics Association and found that Wikipedia ranks for as many as 99% of all search queries. (The study is dated 2009, but informal research corroborates the current validity of those findings). Wikipedia ranks on the first page more often for commercial queries than informational queries, meaning that Wikipedia has ranking dominance regardless of query intent. Why is Wikipedia such a dominant force in the search engines? It has to do with technical performance and user experience. On the technical side, Wikipedia is fast and lean. When was the last time Wikipedia loaded slowly or was experiencing downtime? It's also frequently updated, since individuals are given the opportunity to update content. This keeps it fresh, and deserving of Google's blessing. On the user side, consumers have a general attitude of acceptance towards Wikipedia’s crowdsourced information. The alleged purpose of the website is to provide unbiased information on virtually any topic. It takes little time and effort to access this information. As an Internet user searches for anything from common cold (Wikipedia has position 3 in Google) to carburetor icing (Wikipedia has 1 in Google), Wikipedia is the most prevalent and convenient source of information and therefore trust. What’s the takeaway, then? Any inaccurate or negative information about you or your company on Wikipedia is a major reputation risk. It is imperative that a reputation management strategy always has a Wikipedia plan woven into it. According to survey results and data from Jobvite, Capterra, and Career Profiles, a whopping 95% of recruiters rely on social media information in their recruiting efforts. Of course they do. Wouldn't you? In the case of job seekers, online social recruiting is on the rise in HR departments, having grown 54% in the past five years, according to a SHRM report. Virtually all major companies are employing social recruiting in one form or another, and the momentum is not expected to slow down. As each year passes, it is predicted to occupy on an even greater role. While most social recruiting is done via LinkedIn (73% of companies consider it the most effective site for finding qualified candidates) companies aren’t just using career social networks. 66% of them report that they recruit through Facebook, and 53% state they recruit via Twitter. As the statistics suggest, most companies recruit through more than one of these sites. Companies pass over potential employees based on things they see online, whether they're accurate or not. These days, hiring managers spend far more time online in the search for potential candidates, therefore, it is inevitable that they are likely to come across anything that may be negative or incriminating. This means that your personal Facebook, Twitter, Instagram, Pinterest, and YouTube pages need to be as polished and professional as your LinkedIn page should be if you wish to appeal to hiring managers. Unemployed job seekers would say no to the opportunity for a job if the offer came from a company with a bad reputation - especially in an economy where the unemployment rate is low. According to a Corporate Responsibility Magazine / Allegis Group Services survey, the percentage of rejections from job prospects could be as high as 69%! Survey question: Likelihood of accepting a job offered by a company with bad reputation if unemployed. Job seekers are confident in their decision to work for a company with a positive reputation. If offered an increase in compensation of as much as 100%, 30% of the jobseekers would still reject the offer! The cost of a bad reputation is enormous - companies with good reputations get better candidates while those with questionable ones get what's left. The separation of rich and poor companies continues apace. Did you notice you do that? Social media has become a huge part of people's lives, and it is no longer dominated by young people because... well, they get older. It is popular with people of all ages. According to Pew Research 2018 numbers, 69% of adults now use at least one social media site. Due to this huge volume of social traffic, average consumers mention brands a colossal 90 times per week. There is conflicting information regarding whether consumers are more likely to share positive or negative experiences on Facebook, Twitter, and other social platforms. Research suggests it's about equal. One thing is certain: people pay close attention to social posts from friends. And with the average consumer mentioning brands 90 times a week to their friends, family, and co-workers, you can never underestimate the necessity of providing positive experiences. Simply nixing the bad content simply won’t do. You also have to generate quality content to capture customer attention and keep your brand image positive and relevant. One of the reasons why content marketing is so popular is because it works. 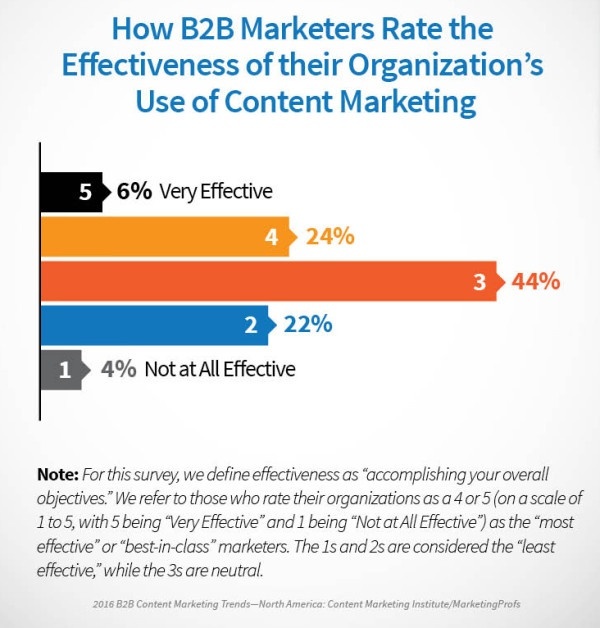 The majority of survey respondents in a Content Marketing Institute study affirm that their organization’s content marketing is effective to some degree. What works in online marketing works with online reputation management as well. Today’s consumers are information consumers living in the information age. As such, the most potent tactic for online reputation management is the publication of valid, trustworthy, high-quality information that helps inform consumers. 10. 87% of customers comparison shop for every purchase. Yes, a very large percentage of people always comparison shop. According to Mckinsey, 87% of people do comparative shopping for every single purchase they make, and they shop on multiple channels. Brand reputation development relies heavily on a business’s ability to reach customers with compelling content through a number of channels. It's not enough to simply launch a paid advertising campaign and wait for the masses to respond. Most companies use a blend of marketing channels in order to reach customers in the broadest way possible. You can improve your online reputation and reduce your reputational risk by reaching out to Internet users intelligently and across as many channels as possible. Online reputation management statistics may be scary, but they are not misleading. More companies than ever before are facing crisis management issues, seeking reputation management services, scrambling for public relations agencies, and trembling at the cost of reputation risk. Don’t get lost in the swarm of statistics. The truth holds. Digital marketing has changed. It’s no longer just the process of measuring click-through rates, tweaking case studies, and publishing infographics. All of those may be important tactics in the digital marketing universe. But there is an angle to modern marketing that is potentially more important than any of this — online reputation management. Review sites, complaint sites, Wikipedia, news agencies, Facebook, Twitter, Google search results — all of it matters, and it matters more than it did even six months ago. Online reputation management is the new PR. Reputation curation is the first step for most companies, whether it is a small business or a Fortune 100. ORM companies do what most public relations agencies and digital marketing shops can’t do — defend a business’s online reputation against decline and repair your online reputation. With an eye on the trends in user behavior and an experienced reputation management partner supporting you, you can cultivate ongoing trust and respect for your online identity. Call Reputation X at 1-800-889-4812 contact us for more information and a complimentary consultation. Kent Campbell is the Chief Marketing Officer for Reputation X. He has over 10 years of experience in SEO, SEM, PPC, online reputation management, inbound marketing, public relations, and online brand strategy. He writes on various online marketing topics that are beneficial to readers.